Grammar is vital for helping people to understand your meaning. That’s why you need to learn these important grammar rules. Without them, you’ll confuse your readers. Conquer them, and you’ll be on the way to great writing. Or at least don’t forget to use instant grammar checker. These key rules of grammar are absolutely vital if you want to be a good writer. We provide memorization tips, too. Link ideas with conjunctions: You want to link two sentences? The easiest way is to use coordinating conjunctions For, And, Nor, But, Or, Yet, or So. Remember the first letters in that order as FANBOYS to easily recall the list of coordinating conjunctions. Active voice: “Active voice” refers to putting the person who does the action first. While passive voice (the acted upon first) isn’t bad, it should be voided as much as possible. To avoid using passive voice, check if you could append the phrase “by zombies”. For instance, “John was beaten” [by zombies]. If there’s already a by-phrase, could you replace it with ‘by zombies’? If so, the sentence is passive and should be rephrased. Use commas to connect ideas: Remember, you use commas to connect two related ideas which are not complete sentences. Separate out the two pieces you’re trying to connect. Can they both stand by themselves? If the answer is no, then you need a comma. Semicolons to join sentences: Addition to the above: if the answer is yes, you need a semicolon. Think of a semicolon as a “stronger” punctuation mark,” and a comma as a “weaker” one. Semicolons are strongminded enough to connect complete sentences. Commas are small enough to connect complete sentences with incomplete fragments. Simple Present Tense for habitual action: The simple present tense is “I drink”, “She goes”, “He walks”. When you say “he walks”, you’re usually indicating that he’s in the habit of walking, rather than that he’s presently on a walk. Present Progressive Tense for current action: By contrast to the above, “He is walking” means the gentleman in question is at this very moment out on a walk. Can you see the difference? To demonstrate, “He walks, so he is walking” could mean “he’s in the habit of walking, so he’s gone for a walk.” You can remember this sentence to help you figure out which one you need to use. Subject Verb agreement: Your subject and your verb should always agree! By this, we mean that your verb tense should match your subject. For instance, in most dialects it is not correct to say “you goes”. It’s especially easy to lose track of these when you get complex sentences, like “You, according to what Thomas said last night, go to the movies regularly.” If you’re struggling, remove the intervening words and leave the subject and the verb, then go with what sounds right. Use apostrophes right: Possessives should always come after. For instance, “dog’s” is belonging to one dog. However, belonging to two dogs would be either “dogs’”. Think of it as the extra s disappearing. If you have a name that ends in S but isn’t plural, such as Jesus, you can either spell it Jesus’ or Jesus’s. Both are usually regarded as correct. Possessive pronouns: It’s easy to confuse your and you’re, it’s and its. What you need to remember is that in this case, you’re not using the possessive ‘s. In pronouns, an apostrophe will always mean a contraction, so in your head, say [pronoun] are/is. Sound right? Use it! If not, use no apostrophe. If you’re still struggling with grammar rules, we understand. A good grammar checker can help you become better at grammar. Our website can help you with lots of suggestions, list of misspelled words, and help for improving. Just remember, you’re not on your own, and you can do it. Have confidence in yourself and it’ll be easy. 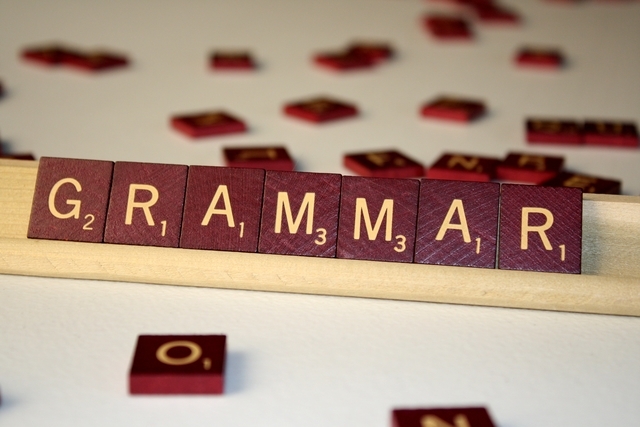 Use our tool today to become an expert in the most essential grammar rules!